Available as a 2-CD Deluxe CD/audio version and as a separate DVD, this concert tour-de-force/career-retrospective shows Dolly swinging with ease from bluegrass to pop-country to mountain ballads-punctuated with Parton’s autobiographical anecdotes and endearing humor between songs. It's quite clear why she's one of the most beloved entertainers in the world! Recorded live at the Celebrity Theater in Dollywood (Pigeon Forge, TN) on December 12th & 13th, 2002. 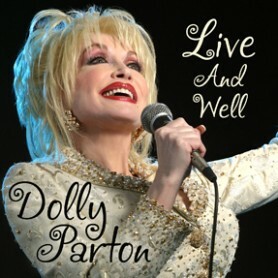 For a performer as naturally relaxed on stage as Dolly Parton, it's rather surprising that it took so long for her to release this, her debut DVD. Recorded on Dec. 12 and 13, 2002 at Dollywood (where else?) in Pigeon Forge, Tennessee while on a short and rare tour supporting her Halos and Horns album, the entirely acoustic performance not only returns the country/bluegrass diva to her musical roots, but to her hometown ones as well. The show, also released as a double album, is far more successful with the visuals, since Parton is noticeably having a great time. Also, the patter that interrupts the flow of the audio-only version works to the advantage of the DVD as watching Dolly naturally interact with the crowd is so integral to her persona. Everything about the singer, from her makeup to her hair and curvy body is exaggerated, but with the songs conversely stripped down to their basics, the effect is impressive. Her voice is clear and strong so she doesn't need costume changes, fancy light shows or backdrops, which would distract from her talent. Visually, the overlit stage detracts only slightly from the act, as do the incessant photo flashes popping throughout the performance. Dolly plays intermittent guitar, harmonica, pennywhistle and dulcimer, but it is her voice and vibrant yet never pretentious stage presence that makes watching her so enjoyable. The band, which is not introduced, is fabulous. They augment these songs with classy, energetic and immaculately played fiddle, stand-up bass, keyboards, drums, guitars and banjo that straddles bluegrass and old-time country. The subtle but effective 5.1 surround effect helps highlight every nuance of the music. Since the tour supports a trilogy of unplugged albums released from 1999-2002, the set list is heavy on those tracks, but enough career hits are inserted to keep everyone satisfied. Except for what seems to be a pre-recorded chorus on her cover of "Stairway to Heaven," the set appears to be free of post-show sweetening or patches. 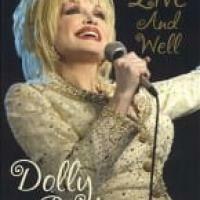 Between the creative rearrangements and Parton's frisky, chipper stage presence, this is a terrific DVD that encapsulates all of the singer's strengths. It will please longtime fans as well as newcomers and is a perfect document for the latter to understand why Parton has remained a country and pop star for nearly four decades.